As brands blend and the digital merges with the physical, a new type of convergence is defining the built environment. Lifestyle development and brands are converging into singular hybrid projects around the world as they rethink how to engage with more savvy customers. Shopping is no longer a stand-alone event and overnighting at a hotel means more than just finding a place to sleep. Even attending a sporting event has broken the box of its myopic past. 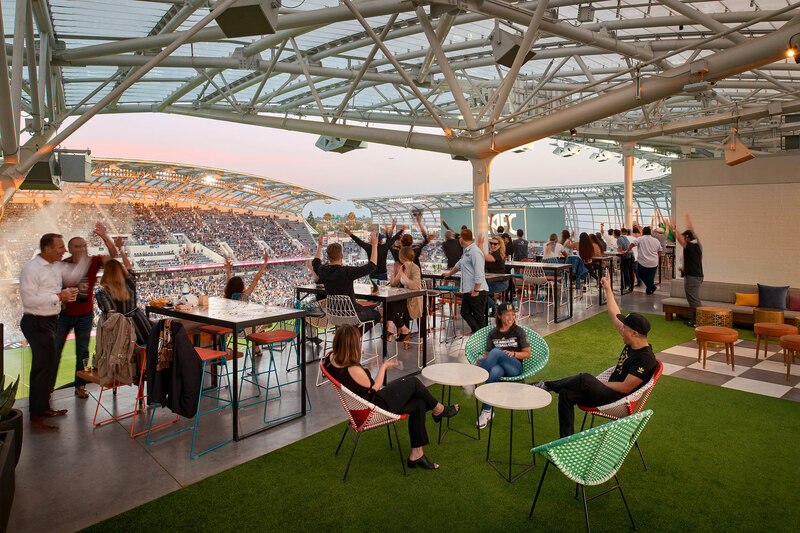 With the opening of the Gensler-designed Banc of California Stadium, home to the Los Angeles Football Club Major League Soccer team, game day is more than just what’s happening on the field. It’s a destination for retail, entertainment, and hospitality in a district that’s alive well beyond the 90-minutes of the match. WHY ALL THIS CONVERGENCE AND WHY NOW? We’re in the midst of a new era of rationalization, where markets are merging process and systems to make them more logical, consistent, and interconnected. According to Gensler's Experience Index (EXI) research, which studies how design shapes human experience and vice versa, online interactions have shown us how easy and frictionless engagement can be with digital-first brands like Amazon, Airbnb, and Uber. Consumers now have a very different set of expectations around how they experience those brands, and they’re projecting that onto the physical world. They expect easy access to anything, regardless of where they are or what time of the day or night it is. To put this new narrative into context, today’s consumers are tech-fueled, digitally empowered, time-starved, relentlessly distracted, and inundated by ubiquity of content through all forms of media. Designers, developers, and brands are all working to provide authentic and connected experiences among these converging forces. We know that the platform no longer matters — it could be digital, physical, AR, or VR. What does matter is that we treat experience as an aggregate of events. Experience is not a single moment, but rather a series of moments put together. At Gensler, we’re innovating in this new landscape through strategy and research. Through our Digital Experience Design practice, we’re at the forefront of creating all-new kinds of immersive experiences that are far more sophisticated than anything our clients have seen. (For more on how Gensler is using technology, see The Digital Converges with the Physical). Hybrid projects are more in demand than ever, largely due to the continued growth of cities. As traditional farming practices give way to automation in places like Asia and India, and the talent demand continues to grow, urban areas are absorbing populations looking for work. According to the World Health Organization, 54 percent of the world’s population now lives in an urban area, and the United Nations projects that two-thirds of all people will live in a city within the next 30 years. Developers are keenly aware of these trends, and they are raising the value of their assets by moving away from single-use buildings to a hybrid model for a new generation of users. By creating dense blocks of real estate anchored by residential, retail, office, or hospitality, developers are balancing their financial risk across a diverse portfolio. Multi-use developments also offer built-in economic synergies. In fact, developments where people can work, live, and play in one concentrated place are generating higher market demand than those that don’t. 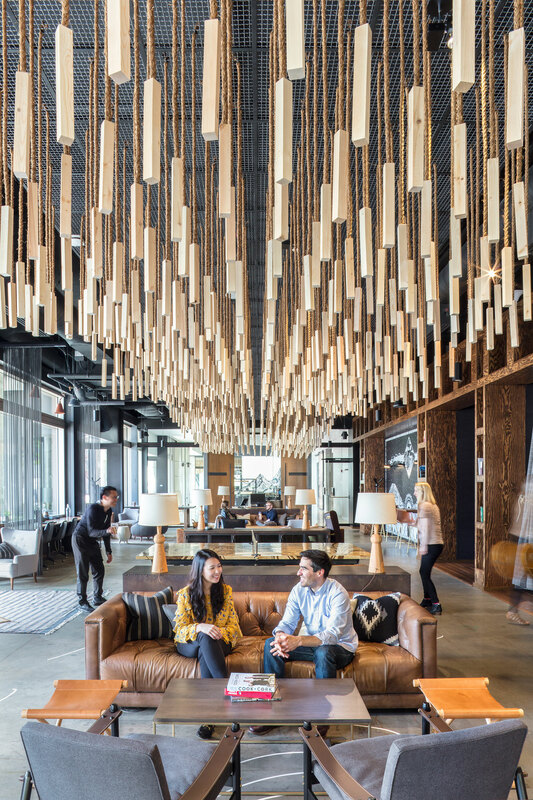 Retail-based developers, too, are migrating away from a focus on apparel stores clustered around department stores to more diverse networks of non-apparel retailers, creative office space, leisure and entertainment tenants, event and pop-up spaces. In the not-too-distant past, the main attractions have been department stores, movie theaters, and fast food. For sports franchises like the Golden State Warriors and Los Angeles Football Club, the economics add up. It makes more sense to leverage a sports stadium year-round rather than for just eight months out of the year. And mixed-use developers — who are increasingly becoming experience curators — are happy to have high-profile sports teams as anchors in their mixed-use projects (for more on these types of developments see Placemaking and the Art of Mixed Use). Successful retail, hospitality, and entertainment brands also recognize the prevailing convergence winds. They know that technology allows us to do everything all the time. We’re never just working, or just shopping, or even just sleeping. We’re doing it all at once, and this has changed both how customers interact with their brand and how they now expect anytime access. The path to purchase used to be simple. Today it’s nonlinear and complex. In the retail business, we call this “flipping the cycle.” You used to go to the mall because that’s where you could browse and buy. But now, because of mobile technology, we are browsing all the time, and we’re purchasing anywhere we are. 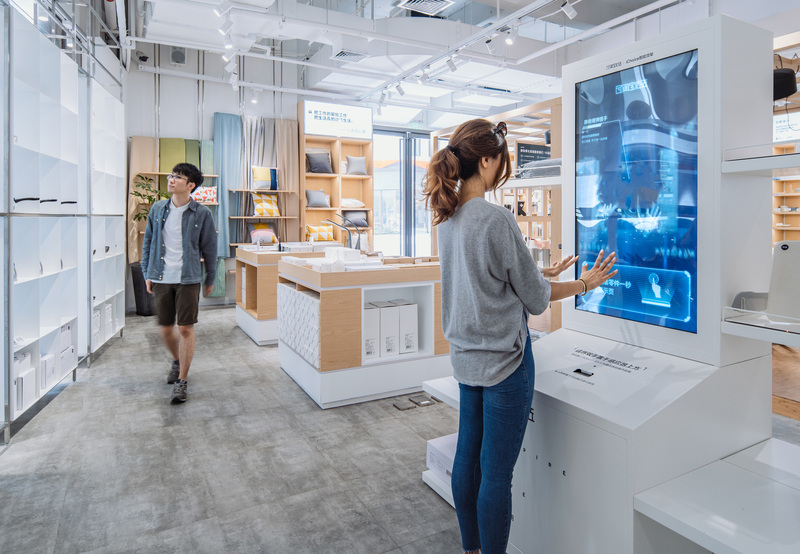 For retail brands in particular, the goal is now less about selling products, and more about finding ways to engage customers across every platform at any time of the day (for more on the retail industry, see Retail: Any Place, Any Time). We believe that great design, great architecture, and great placemaking are a means of providing physical presence and stability in an increasingly virtual world. 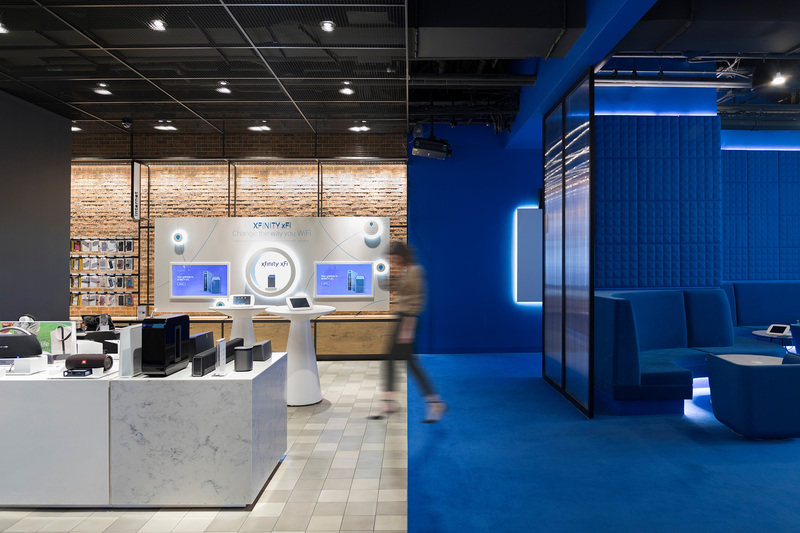 Our work with Taobao, Cadillac, Saks Fifth Avenue, and others shows how retail brands are using design to shift the in-store emphasis away from products and toward activities that promote engagement and build loyalty. Our hospitality design for the Burj Alshaya Four Seasons in Kuwait City and the Hotel Chaco in Albuquerque, New Mexico, show how important sense of place is in driving unique guest experiences. Quality customer service and programmed, curated spaces offer unique experiences that you don’t get online (for more on the hospitality industry, read Hospitality with a Human Touch). Successful design in this era of chaotic convergence means staying focused on the human experience. It’s about the senses — creating that visceral moment when something inside you connects with a place in a special way that’s beyond-ordinary-life. In a technology-saturated world, it’s no longer enough to be functional. You’ve got to add “delight” to the mix. Across the spectrum of lifestyle brands, those who deliver great experiences will thrive in the competition for people’s time, attention, and spending. Those who don’t will get lost in the shuffle. Michael Gatti and David Glover are Retail Centers leaders. They are based in Gensler's New York and Los Angeles offices, respectively.